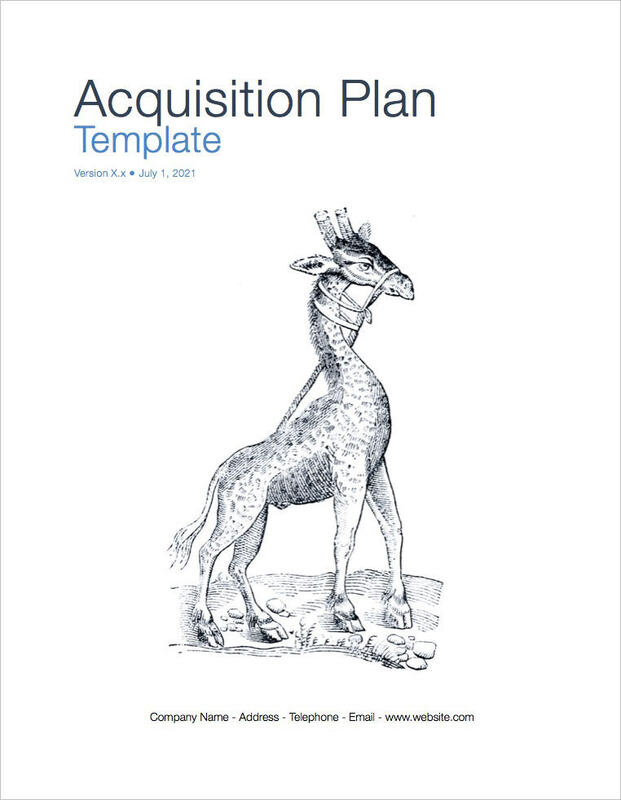 You can use this Acquisition Plan template (iWork Pages + 3 Numbers spreadsheets) when managing software projects that involve acquiring software and bringing products and services in-house. 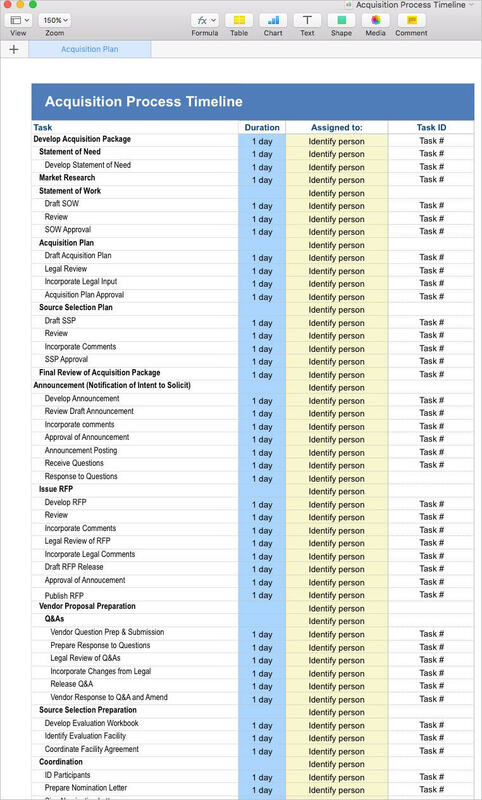 NB: Do you want the Apple or Word templates? 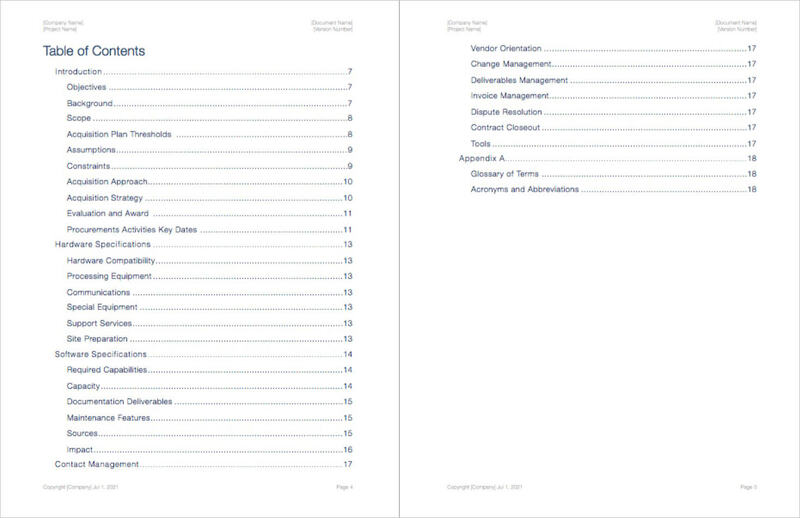 This is the Apple iWork page. Click here for the MS Office version. 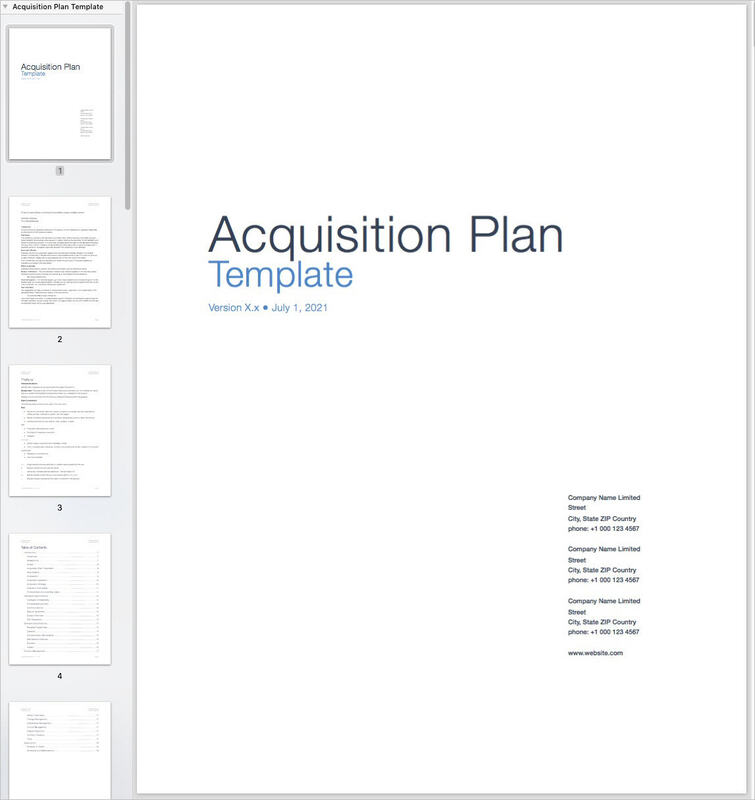 Screenshot shows how the template looks when you open it in Apple iWork Pages. Everything in the template can be changed. Note: The template includes the giraffe image as shown above. You can delete this if you wish. 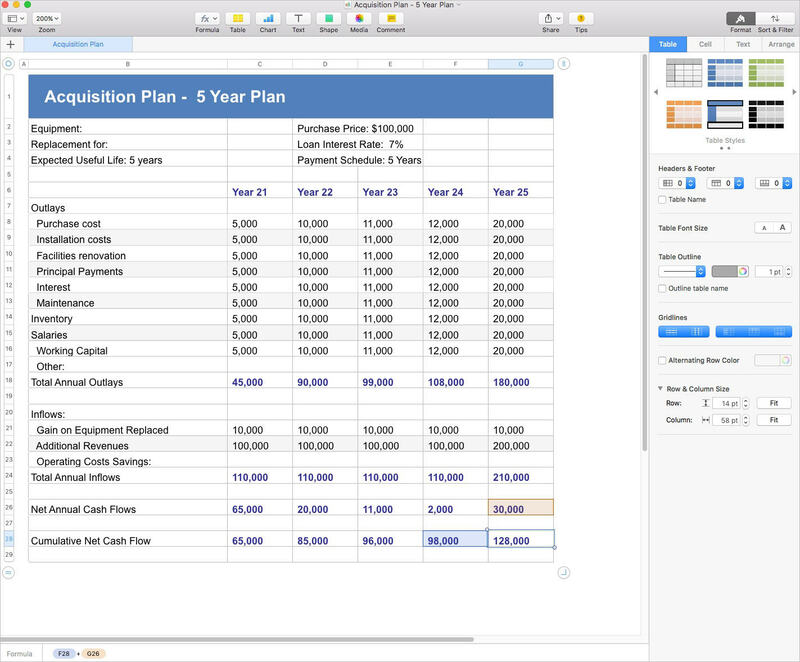 iWork Numbers table to manage the overall acquisition process. 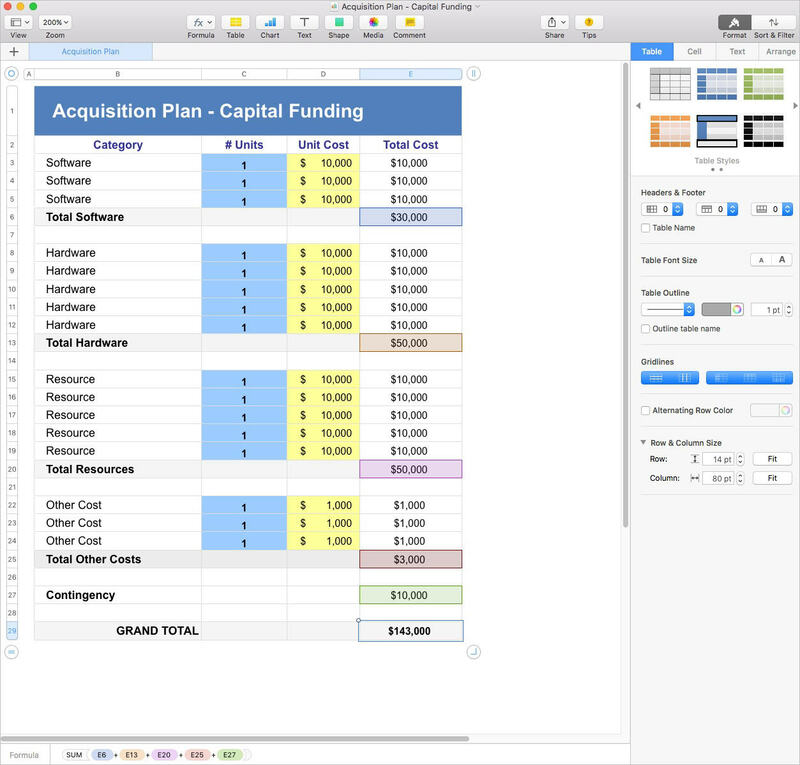 This iWork Numbers template helps you cost the acquisition process. The figures are calculated automatically. 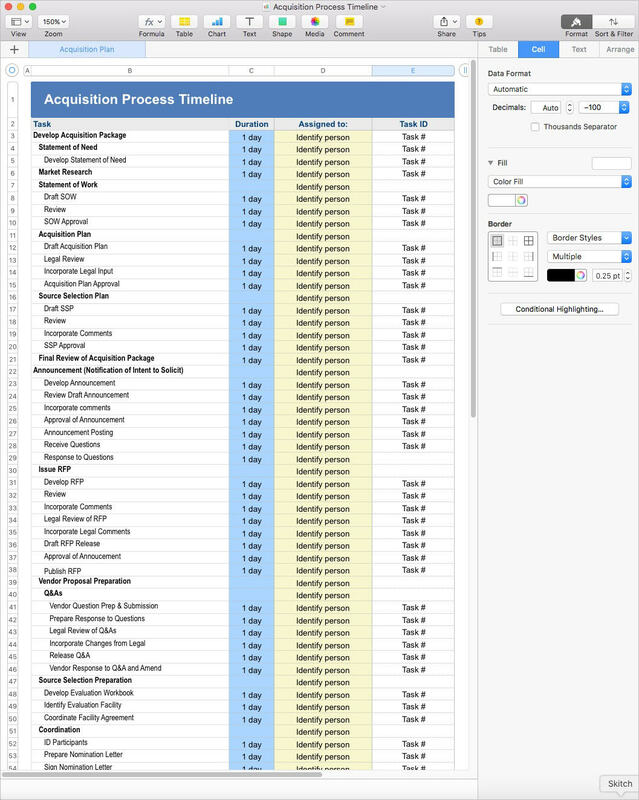 The acquisition plan timeline. 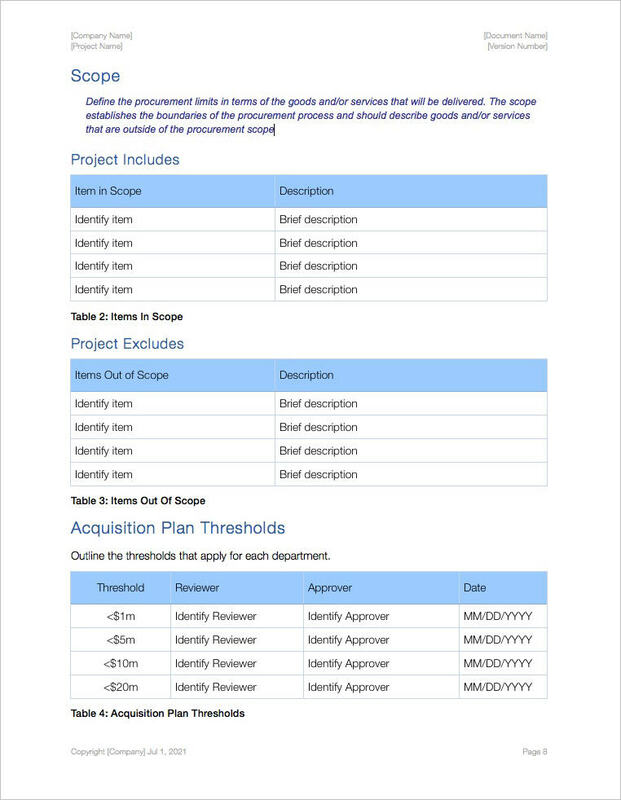 This functions like a project plan giving you greater visibility of the tasks required for the project. The projected costs over the next five years. The numbers are calculated automatically. Yes. Get the Klariti Template Store app here. Updated every week with new templates, special offers, and freebies. 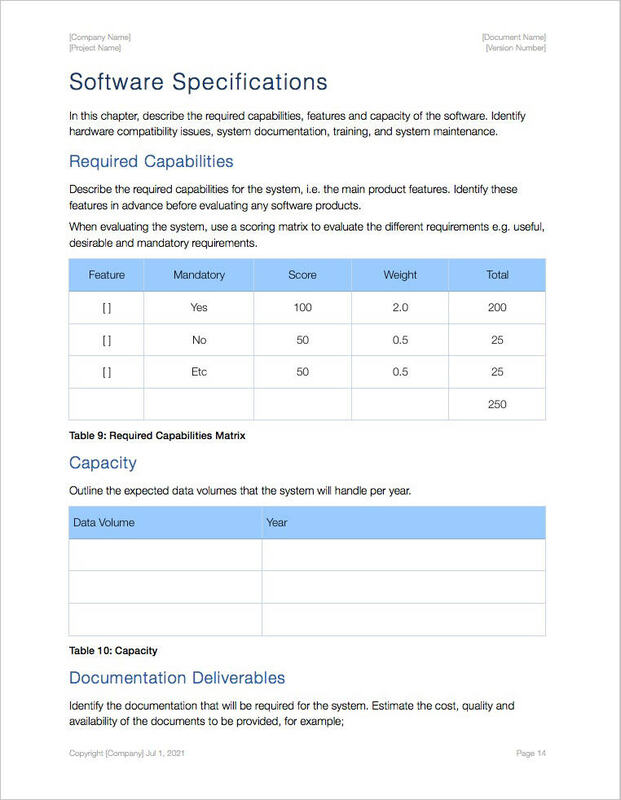 Download the Apple Pages/Numbers version here or click the BUY NOW buttons on this page. Download the MS Office version click here.